I saw Prince perform twice and the shows were hours apart. 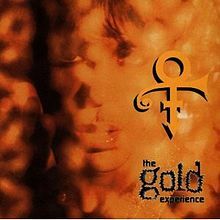 In 1988 he played a huge show at 8pm at the Oakland Arena (where the Warriors play) and then a more intimate performance across the bay at the Warfield Theater in San Francisco at 2am. People treated me to both shows because they knew I was a big fan and going with me made it more fun for them. Only now did it occur to me to regret not keeping ticket stubs of the shows I attended. I never saw Michael Jackson live but I’ve seen Madonna twice, once at the Oakland Arena and once in Toronto, the same week I was there for Canadian Thanksgiving in early October 1993. I’m sure this will hit her very hard. Maybe she’ll back off her boundless need for approval and attention and start just enjoying the life her success allows her to have. I was shocked to see the headline when I came home after running errands today. The irony is now he’ll sell more albums over this next week (or longer) than he has in years, maybe ever. My own collection is massive, including various greatest-hits compilations, long singles, B-sides, promotional CDs and bootlegs. 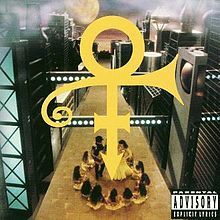 During a Grammys pre-show in the 80’s, artists from every genre, including country western and classical, were asked who they were looking forward to seeing most and the answer every time was an enthusiastic “Prince, he’s the only reason we came at all”, with Michael Stipe of R.E.M. being the most pumped. It was during those interviews it occurred to me how much of a musician’s musician Prince was. When I heard the news about his flight being detoured last week because of a health issue, I felt it was the beginning of the end. This is the hardest-hit I’ve been by a celebrity passing, with the possible exception of John Lennon. 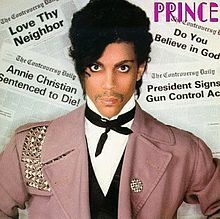 Prince played a much more significant part of my music-listening life, though. The night Lennon was killed, I was at a Stevie Wonder concert in Oakland. At the beginning of the show, Wonder said he wanted to give the greatest performance of his life and that he would explain why after the show. To hear the entire arena gasp in unison when he told us Lennon had been killed was as powerful as the news itself. We found out John Lennon died from Stevie Wonder. 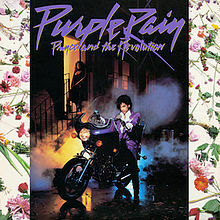 When Prince signed with Warner Brothers in 1977 at the age of 18, he was the youngest artist with the label to be given complete artistic control over his work. He played all the instruments on his first five albums. 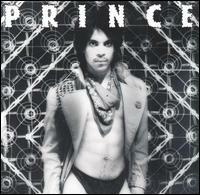 He lived and breathed music and was a boundlessly energetic, charismatic and commanding performer. He was very supportive of other music acts, especially women, writing songs for or with The Bangles (“Manic Monday”), Stevie Nicks (“Stand Back”) and Celine Dion (“With this Tear”, an absolutely beautiful interpretation of a great song) and having his songs covered by others, like Sinead O’Connor (“Nothing Compares 2 U”), Cyndi Lauper (“When You Were Mine”) and Chaka Khan (“I Feel for You”). 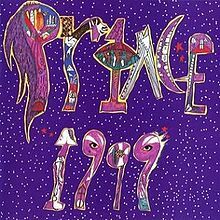 The Time began as a Prince side project (band member James Harris III is a former Chair of the Recording Academy). I’m not going to go into all his accomplishments or describe his musical and cultural impact, his battles with record companies and music piracy, and his advocacy for artists’ rights because anyone with any appreciation for him knows all that. Prince was one of the few real geniuses in any field during my lifetime. An incomprehensible loss. Music marks the time and Prince’s songs and albums definitely mark those different times in the lives of everyone who loves his music. Something I always appreciated was that, unlike Michael Jackson and Madonna, Prince was rarely in the tabloids, which is very much to his credit. News about Prince was much more about his music than his personal life, which is how it should be. People’s private lives should be exactly that; private. One of the things that makes his passing weird for me is that none of the people I know now are even into Prince. My closest Prince-loving buddy in the Bay Area passed away in 2010. I’ll be in a daze for the next week and watching Prince tributes on TV. I listen to his music frequently so I don’t need to make an extra effort to revisit it. 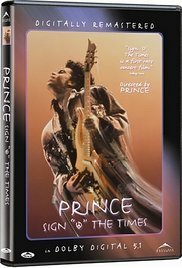 Now maybe Warner Brothers will finally release his outstanding concert film “Sign ‘o’ the Times” on DVD in the U.S as well as a complete compilation of his music videos. The Prince tributes are coming from all directions. The Drudge Report’s print is all in purple. The Weather Channel’s home page is in tribute. 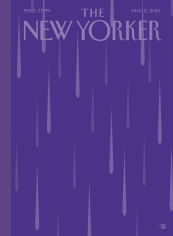 Here’s The New Yorker’s beautiful May 2 Purple Rain cover. Awesome Dan. 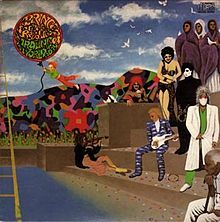 Thank you for that clip on Rock & Roll Hall of Fame with Prince joining in on “My Guitar gently weeps”, especially that he did not know the song. He just connected and jammed. This was a pleasure read. Thank you! I’m glad you liked the clip. 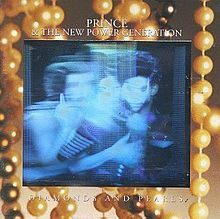 If Prince wasn’t so fastidious about keeping his songs and videos off the internet, I could have buried the article in brilliant Prince performances. All the news stories speculating about the cause of his death or who will get his money mean nothing to me and I make an effort to avoid them. That Prince passed away is all I need to know. 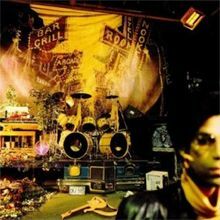 Saturday Night Live replaced its scheduled rerun with a tribute entitled “Good Night, Sweet Prince” which not only featured his performances on the show and the jam session after the show’s 40th anniversary special, it ended with a compilation of “The Prince Show” sketches, where Fred Armisen did a hilarious impersonation. A perfect way to end the show and one I’m sure Prince would have appreciated. The show concluded with the ending of the Feb 24 2006 Steve Martin-hosted show where Prince stands on-stage with the cast during the closing credits. It was cool when it aired the first time. To see it now is powerful. What a beautiful poem, Lamar. Both sad and uplifting. I re-watched some Prince tributes (MTV, NBC Dateline, CNN) on my DVR last night before deleting them, which is part of my process for letting go, and your poem helps with that process. Something I think about when tragedies like this happen is how unjust it is that someone so full of life and who gave so much can die so young while terrible people with nothing to offer but negativity are allowed to persist. I’m sure there are poems out there that more thoughtfully and articulately convey that sentiment. I looked up more of your poetry, which is as thoughtful as the poem you posted here. Thanks for sharing.